Today I share with you the tracking system for making sure you eat a variety of the healthiest foods every day. 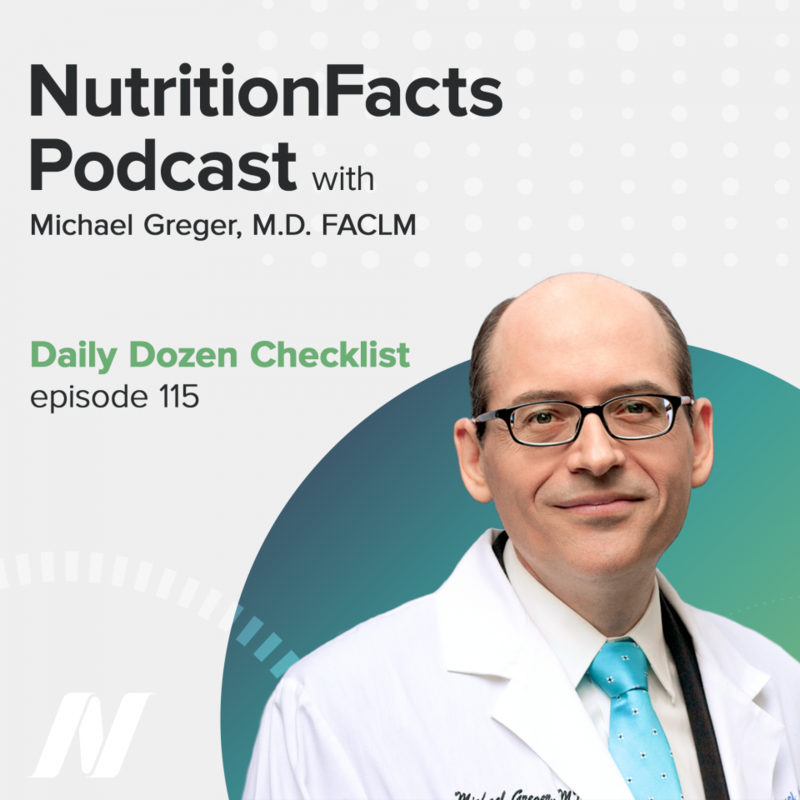 This episode features audio from Dr. Greger’s Daily Dozen Checklist and Dining by Traffic Light: Green Is for Go, Red Is for Stop. Visit the video pages for all sources and doctor’s notes related to this podcast. In my book How Not to Die, I center my recommendations around a Daily Dozen checklist of all the healthiest of healthy foods I try to fit into my daily routine.Here’s a the system I’ve developed to help us make sense of it all. In my book, How Not to Die, I suggest we try to center our diets around whole plant foods. But, some plants are healthier than others. For example, you can apparently live extended periods eating practically nothing but white potatoes. That would, by definition, be a whole-food, plant-based diet—but not a very healthy one. All plant foods are not created equal. The more I’ve researched over the years, the more I’ve come to realize that healthy foods are not necessarily interchangeable. Some foods and food groups have special nutrients not found in abundance elsewhere. For example, sulforaphane, the amazing liver-enzyme detox-boosting compound, is derived nearly exclusively from cruciferous vegetables. You could eat tons of other kinds of greens and vegetables on a given day, and get no appreciable sulforaphane if you didn’t eat something cruciferous. It seems like every time I come home from the medical library buzzing with some exciting new data, my family rolls their eyes, sighs, and asks, “What can’t we eat now?” Or, they’ll say, “Wait a second. Why does everything seem to have parsley in it all of a sudden?” or something! They’re very tolerant. As the list of foods I tried to fit into my daily diet grew, I made a checklist, and had it up on a little dry-erase board on the fridge, and we’d make a game out of ticking off the boxes. This evolved, into my Daily Dozen: the checklist of all the things I try to fit into my daily routine. By beans, I mean legumes, which also includes split peas, chickpeas, and lentils. You know, while eating a bowl of pea soup or dipping carrots into hummus may not seem like eating beans, it certainly counts. We should try to get three servings a day. A serving is defined as a quarter-cup of hummus or bean dip; a half-cup of cooked beans, split peas, lentils, tofu, or tempeh; or a full cup of fresh peas or sprouted lentils. Though peanuts are technically legumes, nutritionally, I’ve grouped them in the Nuts category, just as I would shunt green beans, snap peas, and string beans into the Other Vegetables category. A serving of berries is a half-cup fresh or frozen, or a quarter-cup of dried. While biologically speaking, avocados, bananas, and even watermelons are technically berries, I’m using the colloquial term for any small edible fruit, which is why I include kumquats and grapes—and raisins, as well as fruits that are typically thought of as berries, but actually technically aren’t, such as blackberries, cherries, mulberries, raspberries, and strawberries. For other fruits, a serving is a medium-sized fruit, a cup of cut-up fruit, or a quarter-cup of dried fruit. Again, I’m using the colloquial rather than the botanical definition; so, I place tomatoes in the Other Vegetables group. Common cruciferous vegetables include broccoli, cabbage, collards, and kale. I recommend at least one serving a day (typically a half-cup), and at least two additional servings of greens a day, cruciferous or otherwise. Serving sizes for other greens and vegetables are a cup for raw leafy vegetables, a half-cup for other raw or cooked non-leafy vegetables, and a quarter-cup for dried mushrooms. I also recommend one-quarter teaspoon a day of the spice turmeric, along with any other (salt-free) herbs and spices you may enjoy. A serving of whole grains can be considered a half-cup of hot cereal, such as oatmeal, cooked whole grains, or so-called “pseudograins” like amaranth, buckwheat, and quinoa, or a half-cup of cooked pasta or corn kernels; a cup of ready-to-eat (cold) cereal; one tortilla or slice of bread; half a bagel or English muffin; or three cups of air-popped popcorn. The serving size in the beverage category is one glass (twelve ounces), and the recommended five glasses a day is in addition to the water you get naturally from the foods in your diet. Finally, I advise one daily “serving” of exercise, which can be split up over the day. I recommend ninety minutes of moderate-intensity activity each day, such as brisk (four miles per hour) walking or, forty minutes of vigorous activity (such as jogging or active sports) each day. This may all sound like a lot of boxes to check, but it’s easy to knock off a bunch at a time. One simple peanut butter/banana sandwich, and you just checked off four boxes. Or imagine sitting down to a big salad. Two cups of spinach, a handful of arugula, a handful of walnuts, a half-cup of chickpeas, a half-cup of red bell pepper, and a small tomato. You just knocked out seven boxes in one dish. Sprinkle on your flax, add a handful of goji berries, and enjoy it with a glass of water and fruit for dessert, and you just wiped out nearly half your daily check boxes in a single meal! And, then if you just ate it on your treadmill—just kidding! Do I check off each glass of water I drink? No. In fact, I don’t even use the checklist anymore; I just used it initially as a tool to get me into a routine. You know, whenever I was sitting down to a meal, I would ask myself, Could I add greens to this? Could I add beans to this? (I always have an open can of beans in the fridge.) Can I sprinkle on some flax or pumpkin seeds, or maybe some dried fruit? The checklist just got me into the habit of thinking, How can I make this meal even healthier? I also found the checklist helped with grocery shopping. Although I always keep bags of frozen berries and greens in the freezer, if I’m at the store and want to buy fresh produce for the week, it helps me figure out, you know, how much kale or blueberries I need. The checklist also helps me picture what a meal might look like. Looking over the checklist, you’ll see there are three servings each of beans, fruits, and whole grains, and about twice as many vegetables in total than any other component. So, glancing at my plate, I can imagine one quarter of it filled with grains, one quarter with legumes, and a half of the plate filled with vegetables, along with maybe a side salad, and fruit for dessert. I happen to like one-bowl meals where everything’s mixed together, but the checklist still helps me to visualize. Instead of a big bowl of spaghetti with some veggies and lentils on top, I think of a big bowl of vegetables with some pasta and lentils mixed in. Instead of a big plate of quinoa with some stir-fried vegetables on top, I picture a meal that’s mostly vegetables—and, oh look! There’s some quinoa and beans in there, too. But there is no need to be obsessive about the Daily Dozen. On hectic travel days when I’ve burned through my snacks, you know, stuck in some airport food court somewhere, sometimes I’m lucky if I even hit a quarter of my goals. If you eat poorly one day, just try to eat better the next. To help track your progress, volunteers created Dr. Greger’s Daily Dozen apps for both Iphones and Androids. You can download and use them both for free; no ads, no cost. My hope is that the checklist will just serve as a helpful reminder to try to eat a variety of some of the healthiest foods every day. In this next story, I explain my traffic light system for ranking the relative healthfulness of Green Light vs. Yellow Light vs. Red Light foods. Whenever I’m asked at a lecture whether some food is healthy or not, my reply is: “Compared to what?” For example, are eggs healthy? Compared to some breakfast sausage next to it? Yes, but compared to oatmeal? Not even close. Think of it as having $2,000 in your daily calorie bank. How do you want to spend it? For the same number of calories, you can eat one Big Mac, 50 strawberries, or a half a wheelbarrow-full of salad greens. Now, they don’t exactly fill the same culinary niche—I mean, if you want a burger, you want a burger—and I don’t expect quarts of strawberries to make it onto the Dollar Menu anytime soon. But, it’s an illustration of how mountainous a nutrition bang you can get for the same caloric buck. Every time we put something in our mouth, it’s a lost opportunity to put something even healthier in our mouth. So, what are the best foods to eat and the best foods to avoid? Here’s how I like to think of it. The traffic light system to help quickly identify some of the healthiest options. Green means go, yellow means caution, and red means stop (and think before you put it into your mouth). Ideally, on a day-to-day basis, green category foods should be maximized, yellow foods minimized, and red category foods avoided. As far as I can figure, the best available balance of evidence suggests the healthiest diet is one that maximizes the intake of fruits, vegetables, legumes (which are beans, split peas, chickpeas, and lentils), whole grains, nuts and seeds, mushrooms, herbs, and spices. Basically, real food that grows out of the ground—these are our healthiest choices. In general, the more whole plant foods and the fewer processed and animal foods, the better. So, more green light foods and less yellow and red. Like running red lights in the real world: you may be able to get away with it once in a while, but I wouldn’t recommend making a habit out of it. My traffic light model stresses two important concepts: Plant foods tend to be healthier than animal foods (in terms of being packed with protective nutrients and fewer disease-promoting factors), and unprocessed foods tend to be healthier than processed foods. Is that always true? No. Am I saying that all plant foods are better than all animal foods? No. In fact, the worst thing on store shelves has been partially hydrogenated vegetable shortening—it’s even got vegetable right in the name! Even some unprocessed plants—such as blue-green algae—can be toxic. Anyone who’s ever had a bad case of poison ivy knows plants don’t always like to be messed with. In general, though, choose plant foods over animal foods, and unprocessed over processed. What do I mean by processed? The classic example is the milling of grains from whole wheat—for example, to white flour. Isn’t it ironic that these are then called “refined” grains, a word that means improved, or made more elegant? The elegance was not felt by the millions who died from beriberi in the 19th century, a vitamin B-deficiency disease that resulted from polishing rice from brown to white. 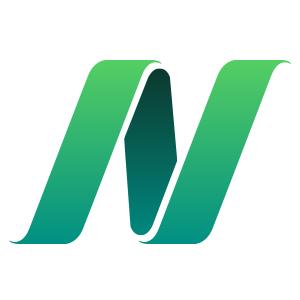 White rice is now enriched with vitamins to compensate for the “refinement.” A Nobel Prize was awarded for the discovery of the cause of beriberi and its cure—rice bran, the brown part of rice. Beriberi can cause damage to the heart muscle, resulting in sudden death from heart failure. Surely, such a thing could never happen in modern times. I mean, an epidemic of heart disease that could be prevented and cured with a change in diet? Sometimes, though, processing can make foods healthier. For example, tomato appears to be the one common juice that may actually be healthier than the whole fruit. The processing of tomato products boosts the availability of the antioxidant red pigment by as much as five-fold. Similarly, the removal of fat from cacao beans to make cocoa powder improves the nutritional profile, since cocoa butter is one of the rare saturated plant fats (along with coconut and palm kernel oils) that may raise cholesterol. So, for the purposes of the traffic light model, I like to think of “unprocessed” as nothing bad added, nothing good taken away. So, in the above example, tomato juice could be thought of as relatively unprocessed, since even much of the fiber is retained—unless salt is added, which would make it a processed food, in my book, and bump it out of the green zone. Similarly, I would consider chocolate processed (since they add sugar), but cocoa powder not. The limited role I see for yellow-light foods in a healthy diet is to promote the consumption of green-light foods. They can be the spoonful of sugar that makes the medicine go down. So, if the only way I can get a patient to eat oatmeal in the morning is to make it creamy with almond milk, then tell them to add almond milk. The same could be said for red-light foods. If the only way you’re going to eat a big salad is to sprinkle it with Bac-Os, then sprinkle away. Bac-Os are what are referred to ultra-processed foods—bearing no redeeming nutritional qualities or resemblance to anything that grew out of the ground, and often with added badness. Bac-Os, for example, have added trans fats, salt, sugar, and even Red #40, a food dye that may cause thousands of thyroid cancers every year. As a red light food, it should ideally be avoided, but if the alternative to your big spinach salad with Bac-Os is KFC, then it’s better to sprinkle. The same goes for real bacon bits. I realize some people have religious or ethical objections to even trivial amounts of animal products. (Growing up Jewish next to the largest pig factory west of the Mississippi, I can relate to both sentiments.) But from a human health standpoint, when it comes to animal products and processed foods, it’s the overall diet that matters. For example, without hot sauce, my intake of dark green leafy vegetables would plummet. Yeah, I could try making my own from scratch, but for the time being, the green ends justify the red means. On the same note, it’s really the day-to-day stuff that matters most. It really shouldn’t matter what we eat on special occasions. Feel free to put edible bacon-flavored candles on your birthday cake (I’m not actually making those up). Though I guess from a food-safety point of view, a raw cake-batter Salmonella infection could leave you in dire straits. In general, it’s really your regular routine that determines your long-term health. Our body has a remarkable ability to recover from sporadic insults, as long as we’re not habitually poking it with a fork. That’s why, from a medical standpoint, I don’t like the terms vegetarian and vegan, because they are only defined by what you don’t eat. When I taught at Cornell, I had vegan students who appeared to be living off of French fries and beer. Vegan, perhaps, but not terribly health-promoting. That’s why I prefer the term whole food plant-based nutrition. In general, the dividing line between health-promoting and disease-promoting foods may be less plant-versus animal-sourced foods, and more whole plant foods versus most everything else. Very helpful aids to visualise each meal. I also prefer my food in a single bowl! very informative. Enjoying the website and tools to help better our lifestyle and health.Love how Dr. Greger backs up everthing with extensive data and facts! I want to see all the videos!